Join C++ users to learn about Scylla, an example of a server-side application written using Seastar framework which makes it easy to scale the application vertically. During the presentation, we will talk about Seastar and how to create applications with it. TLV Partners and Bessemer are hosting a discussion with entrepreneurs who have built some of the most successful open source projects in the world. Founders of Elastic, Jfrog, ScyllaDB and Microsoft will cover topics such as how to build a successful business based on open source, how to galvanize a community around an open source project, and what type of DNA is best for driving an open source company. Watch this webinar to learn strategies commonly used for migrating data to and from a Cassandra or Scylla cluster. We cover how to use the Scylla Migrator — a Spark tool that can efficiently move data between Cassandra and Scylla clusters, when you can just copy the existing files around and how to do it, plus other migration strategies are and when to use them. The talk will be an introduction to Presto and its ability to query virtually any data source via its connector interface. The presenters will share use cases of Presto querying various data sources, discuss the existing connectors in Presto, and describe the backing architectural concepts. Join us for a meetup to learn the six design decisions made at the beginning of the Scylla project, and how they guide us along the way. You will also hear directly from Scylla users, who will share their stories from the trenches of Big Data: Why and how they migrated to Scylla? What should you pay attention to when migrating to Scylla? And the problems and solutions they encountered along the way. ScyllaDB CTO and co-founder Avi Kivity will provide insights about Scylla’s internals in an interview-style session with ScyllaDB CEO Dor Laor. Join us to hear Avi on topics such as read and write paths, schedulers, and upcoming features in 2019, the ideal hardware for Scylla, interrupt placement, IO queues, memory management, user-defined functions in Lua and when to run Scylla on Kubernetes. ScyllaDB's Michał Matczuk will demystify the reflection in Go. Performance of NoSQL databases like Scylla and Cassandra rely heavily on properly modeled data. Changing schema is hard but features like Materialized Views come to the rescue in situations like this. The presentation will show how Materialized Views are implemented and what are their advantages and disadvantages. Avi Kivity presents "How to Write a Database." This talk explores the database internals: commit logs, memory allocation, I/O strategies, and more. The industry’s most performant NoSQL database just got better. Scylla Open Source 3.0 introduces much-anticipated new features for more efficient querying, reduced storage requirements, lower repair times, and better overall database performance. It includes production-ready capabilities beyond those available with Apache Cassandra or any other NoSQL database. Join ScyllaDB CEO and co-founder Dor Laor and vice president of field engineering Glauber Costa for a technical overview of the new features and capabilities in Scylla Open Source 3.0. 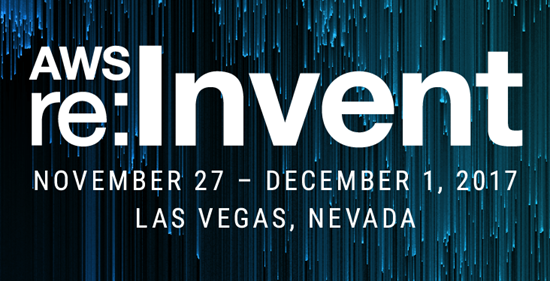 We're Silver Sponsors at AWS re:Invent 2018. Stop by Booth 1910 to see a demo, pick up a t-shirt, and play our game for a chance to win more cool schwag! SCYLLA SUMMIT 2018 is coming to the San Francisco Bay Area November 6-7, with pre-summit training available November 5. Join us for 2 days of technical sessions on Scylla, NoSQL, and adjacent technologies. Register by September 14th and save $100! As Platinum sponsors, we're joining the leaders and top practitioners in the field for a one day conference to explore the latest developments. Join this tech talk to see how Scylla works and try it out from the comfort of your own laptop. You will learn how to use Scylla to store and retrieve large amounts of data in a simple and scalable way. Plus food and networking. Join this webinar to hear how ScyllaDB, the real-time big data database company, is working with the IBM® Power Systems™ teams to optimize the performance of the IBM POWER9™ multi-core architecture. Join us to learn how ScyllaDB uses the mathematical foundation of control theory to make automatic decisions about compactions, putting an end to compaction tuning altogether. Spark has become the de-facto analytics tool for data stored in Scylla. In this webinar, we will review different workloads using Spark and Scylla, including Extract, Transform, Load (ETL), and how to create joins between tables and summaries and reporting. We will also cover data modeling best practices for Scylla-Spark use cases, different deployment scenarios and share performance tuning settings to utilize both Scylla and Spark at peak performance. Join database enthusiasts to hear Aaron Stockton, Principal Software Engineer at Oracle Data Cloud, present 'Choosing the Right NoSQL Datastore Journeying From Apache Cassandra to Scylla, plus get cool swag and enjoy snacks. 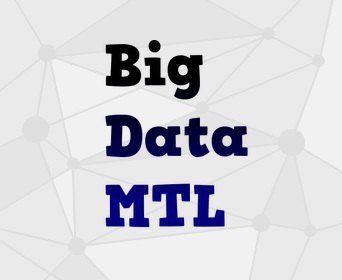 Join Big Data enthusiasts in Montreal for food, drinks, and to hear 'Real-time Big Data at scale: 1 million queries per second with single-digit millisecond latencies', presented by Mina Naguib, who leads the Site Reliability Engineering team at AdGear, and Glauber Costa, Solution Architect at ScyllaDB. We are Silver Sponsors at Spark+AI Summit 2018. By centralizing cluster administration and automating recurring tasks, Scylla Manager brings greater predictability and control to Scylla-based environments. Join us to learn about Scylla Manager’s recurrent repair capabilities, and see a demo of how to set up and run recurrent and ad-hoc repairs on a Scylla cluster. ScyllaDB CEO Dor Laor will present at this gathering of data professionals. We'll be at re:Invent all week - stop by Booth 833 to see a demo, pick up a t-shirt, and play our game for a chance to win more cool schwag! Join NoSQL developers and users for two days of sharing ideas, hearing innovating use cases, and getting real-life tips and tricks. AWS Summit New York brings together the cloud computing community to connect, collaborate and learn about AWS. Watch our webinar to learn how to build a state-of-the-art database solution using Amazon's i3, a new class of machines targeted at 1/O-intensive workloads. The AWS Summit brings together the cloud computing community to connect, collaborate and learn about AWS. Scylla engineer Duarte Nunes presents "ScyllaDB: NoSQL at Ludicrous Speed"
ScyllaDB CTO Avi Kivity presents "ScyllaDB: Achieving No-Compromise Performance"
It was standing room only at ScyllaDB's first ever Summit!